Rowman and Littlefield, publishers for AASLH and now AAM, are offering a 35% discount on most of their titles through September, including both print and ebooks. 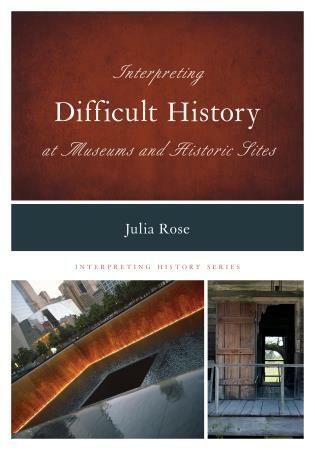 That includes the Interpreting series, which was recently joined by Interpreting Naval History by Benjamin Hruska and Interpreting Difficult History by Julia Rose (Julie will be sharing a panel with me at the AASLH meeting in Detroit) and by the end of the year it’ll have ten titles. Other areas of interest are museum studies, architecture and historic preservation, and museum administration. Browse their web site at Rowman.com and use the code 16SUMSALE when you order online or by phone at 1-800-462-6420. The sale will continue to be in effect during the AASLH annual meeting in September, so you’ll want to be sure to stop by the Rowman and Littlefield booth to look at what’s available. On Thursday, September 15 from 3-4 pm, several authors will be available to chat and sign books (including me) and they’ll be providing coupons for deep discounts on forthcoming books. This entry was posted in Books and articles, Historic preservation, Historical interpretation and tagged Rowman and Littlefield on August 30, 2016 by Max van Balgooy.